Springfield based Bass Pro Shops is leading a group trying to acquire outdoor retailer Cabela’s. The deal would unite two of the country’s largest hunting and fishing stores and likely face an antitrust examination. In a formal announcement Monday, Bass Pro Shops founder and CEO Johnny Morris said the planned merger is a “once in a lifetime” opportunity for both companies to create a “best of the best” shopping experience for outdoor enthusiasts. 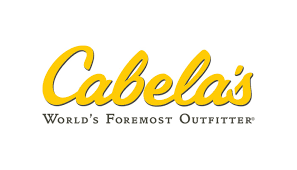 Cabela’s has struggled with declining sales and was urged by one of its activist stakeholders (hedge fund Elliott Management) to explore a possible sale last December. The $5.5 billion dollar deal would allow Bass Pro Shops to nearly double the number of stores it has, although it’s not known if any outlets will close as a result of the merger. Cabela’s has also agreed to sell its credit card business to Capital One Financial Corporation, which is partnering with Bass Pro Shops to offer credit cards to Cabela’s customers. Privately owner Bass Pro Shops will pay $65.50 per share in cash for Cabela’s, which is a 19% premium over its Friday closing price. Morris, who founded Bass Pro Shops in 1972, will continue as CEO of the combined company and hold onto his majority ownership. Bass Pro shops has 20,000 employees who work at its 99 stores and Tracker Marine Centers located mostly in the eastern part of the U.S. and Canada. Cabela’s has 19,000 workers at its 85 outlets, which are concentrated in the western U.S. and Canada. Bass Pro Shops says it will continue operations at Cabela’s Sydney, Nebraska headquarters. The companies said they expect the deal to be approved in the first half of next year.